The National Board for Certified Counselors, Inc. and Affiliates (NBCC) is the premier credentialing body for counselors, ensuring that counselors who become board certified have achieved the highest standard of practice through education, examination, supervision, experience, and ethical guidelines. NBCC and Affiliates is comprised of three organizational affiliates: the National Board for Certified Counselors (NBCC), the Center for Credentialing and Education (CCE) and the NBCC Foundation (NBCC-F). Learn more about NBCC here. Established as a not-for-profit, independent certification organization in 1982, NBCC’s original and primary purposes have broadened in scope to encompass advancing the counseling profession and enhancing mental health worldwide. Today, there are over 65,000 National Certified Counselors (NCCs) in more than 40 countries. NBCC is focused specifically on credentialing, certification and quality assurance, while CCE focuses on providing education and training opportunities and leveraging credentials to best serve communities. Additionally, CCE provides organizational management services for associations, boards and other management clients. The NBCC Foundation engages in capacity building, seeking to expand access to mental health services in underserved and never-served communities and increase the accessibility of high-quality professional development resources for counselors. Watch a quick video about this career opportunity! As NBCC continues to experience significant growth and build upon its unique strengths, a search is underway for an experienced and collaborative executive leader to be the next President and Chief Executive Officer (CEO). NBCChas exclusively retained Nonprofit HR to assist in the recruitment efforts for this search. 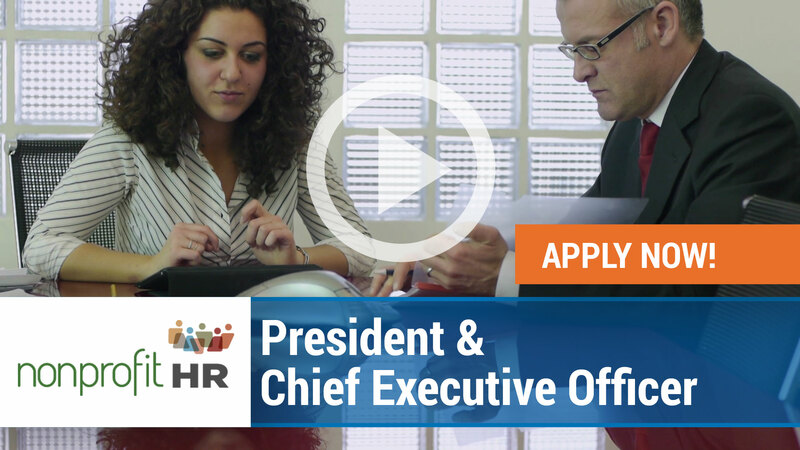 The position of President and CEO is a critical and visible position requiring strong business (financial, operations) and development experience. The CEO of NBCC and Affiliates provides overall co-leadership that capitalizes on current situations, contexts, and environments, and stimulates growth and innovation in accordance with the policies and direction of the Boards of NBCC and Affiliates. The President and CEO role is as a primary member of the senior management team, reporting directly to the NBCC Board of Directors. The CEO collaborates closely with the COO and Chief Legal Officer/General Counsel in a triadic organizational structure of co-leadership. The CEO must have broad management experience in a non-profit, education/credentialing, government or business setting, including program and project development, implementation, and evaluation; short- and long-term strategic planning; and budgetary oversight. The CEO must have exceptional leadership presence and experience serving as a spokesperson for an organization, with demonstrated ability to increase and leverage organizational visibility, credibility and brand recognition through the media and other public relations sources. Internally, the CEO must develop, lead, attract, inspire, retain, and manage a diverse, talented, and high-performing team, to ensure that the mission and core values of NBCC are put into practice by holding everyone accountable for quantifiable high-quality, timely, and cost-effective results. In an environment that is collegial and where talent and culture are critical, the CEO will need to engage staff, the affiliates, and the Board of Directors in strategic operations and execution through responsive communication and collaborative leadership. The successful candidate will have a Doctoral degree, preferably in Counselor Education, and six years related executive management experience leading a complex, multi-constituent organization in the nonprofit, education/credentialing, or governmental sector. Additionally, the candidate must be an active NCC or hold an NBCC or CCE Certification (or, obtained within 6 months of hire). The President & CEO must be knowledgeable in the business of assessment, credentialing, and accreditation, with a strong commitment to the legislative agenda of NBCC. The ideal candidate has experience managing a multi-national organization and has proven success developing and keeping a remote workforce engaged. For consideration, interested candidates should submit a cover letter and resume. Your cover letter must address your experience and qualifications being sought. Send materials to: execsearch@nonprofithr.com “ATTN: NBCC CEO Search” in the subject line.Electronic submissions highly preferred. Interested individuals are encouraged to apply immediately. Please visit: www.nbcc.orgfor more information about the organization.